Chronic Illness Accelerated Benefit Rider (CIAB) is a living benefit rider that can sometimes automatically be included with eligible, newly issued permanent life insurance policies. CIAB Rider offers an acceleration of the death benefit that can provide policyholders and their families with a financial safety net if the insured becomes permanently unable to perform two of the 6 Activities of Daily Living (ADLs) or has a severe cognitive impairment and is expected to require substantial supervision by another person for the rest of their life. In most cases, the money from this benefit can be received income tax-free. The rider can help families protect savings by delaying the need to spend down assets to cover the costs associated with a chronic illness. 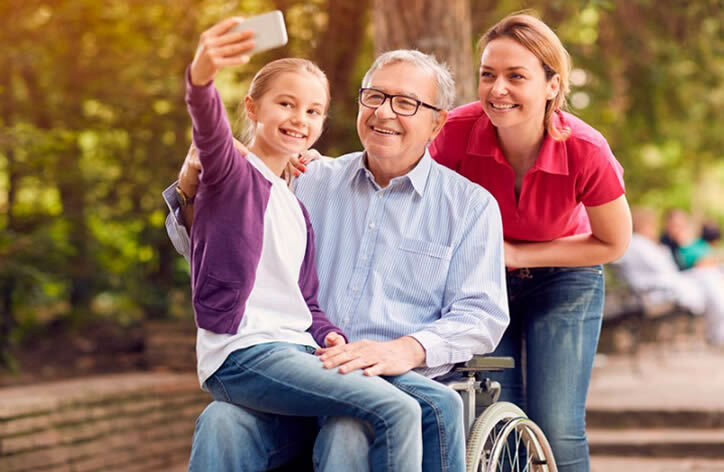 The rider benefit may be used for nursing or in-home care, to pay extraordinary medical expenses or for any legitimate need, such as modifying a house to accommodate the needs of a chronically ill insured. There is no additional underwriting and no cost for the rider at policy issue. If the client never needs the benefit, there is never a cost for this additional retirement asset protection and peace of mind. To qualify as a chronic illness, the insured must be unable to perform 2 of the 6 above ADLs without substantial assistance for a period of at least 90 consecutive days, or; the insured has a severe cognitive impairment that Requires substantial supervision by another person to protect the insured from threats to health and safety for a period of at least 90 consecutive days. To access CIAB Rider benefits the condition must be expected to be permanent. What is the certification requirement for chronic illness? A certification of the condition must be completed and signed by a U.S. licensed health care practitioner (not related to the owner or insured). The health care practitioner must certify within the last 12 months that the insured has been chronically ill for a consecutive period of 90 days and is expected to remain that way for the remainder of their life. In this scenario, the owner paid a total premium of $213,320 in premium and gets $788,400 of accelerated benefits. After the acceleration, the owner still has over$50,000 in death benefit protection from the $1 million dollar policy purchased. The impact of the accelerated benefit exercise on policy values will differ based on the insured’s age at exercise. Different reductions would occur in this scenario if claims were made at different ages, different policy earnings rates and depending on other factors. This policy and rider attached should not be sold as a substitute to traditional LTC policies. It can be an alternative in unique situations. For more complete information call (570) 401-6008 or email us.